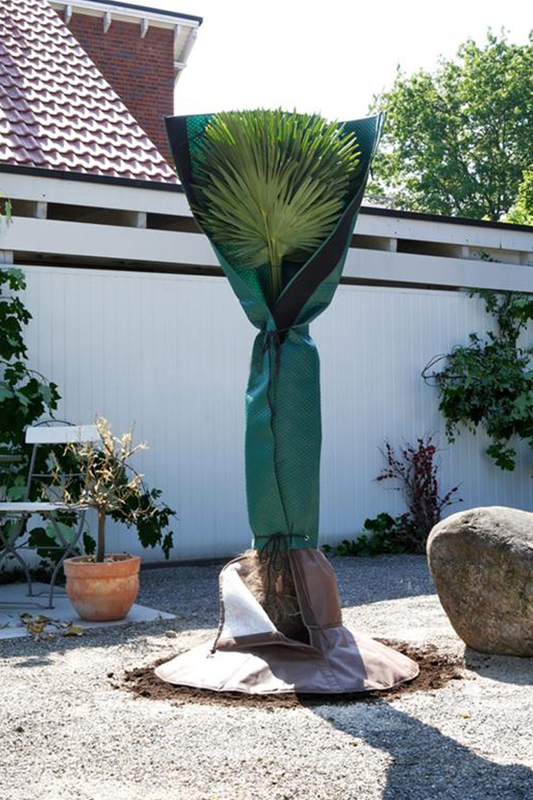 A fleece bag for perfect winter palm protection against cold, rain and snow. Just about the best heavy duty winter protection on the market right now. It also prevents drying out and has a practical cord closure with double film insulation, protecting not only the leaves but the trunk too. The size of the Palm protection is 150cm (4.5 feet) height up to diam. 35-40cm (13-15") trunks.